I love being creative and now I have time to indulge my passion. I’ve completed these projects whilst on bed rest and so they are good options to kill some time whilst creating a masterpiece! I have a box of craft supplies with me here in Dubai, most of which I bought from Hobbycraft. 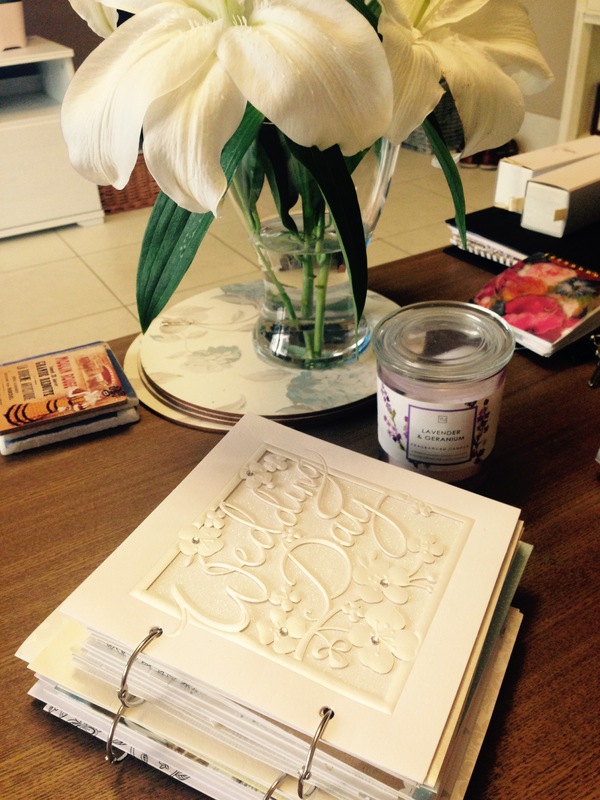 In Dubai, I have found craft supplies from Craftland and Paper Lane which are both in Town Centre Mall, Jumeriah. I will add details of my various creative projects below as and when I complete them so please keep checking back! I received an absolutely beautiful scrapbook from my sister when I got married two years ago. 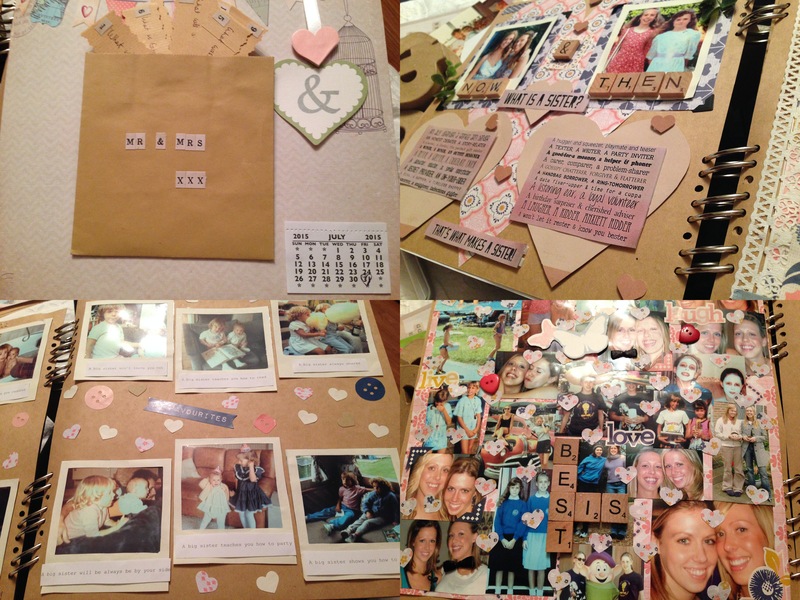 She asked loads of my friends and family to complete a page and she then bound them all together and gave it to me the night before my wedding. I was so impressed by it. When it was my sister’s turn to get married I couldn’t think of a better present and so totally ripped off her idea and did the same! So I bought a blank scrapbook from Hobbycraft and emailed all of her friends asking them to send me a page which was no more than 12×12 inches so that I could paste it into the blank scrapbook. They could make it as thick as they wanted. Because the book ended up getting really thick, I took off the spine and added some new ring binders so it could be thicker. I used either glue dots or normal glue to stick down the pages, depending on their thickness. I finished it off by getting my dad (!) to drill a couple of holes and adding some of my own ribbon (the version of the blank scrapbook I bought didn’t have the ribbon tie finish. It was great to see everyone’s different pages and how creative everyone was when they put their mind to it. 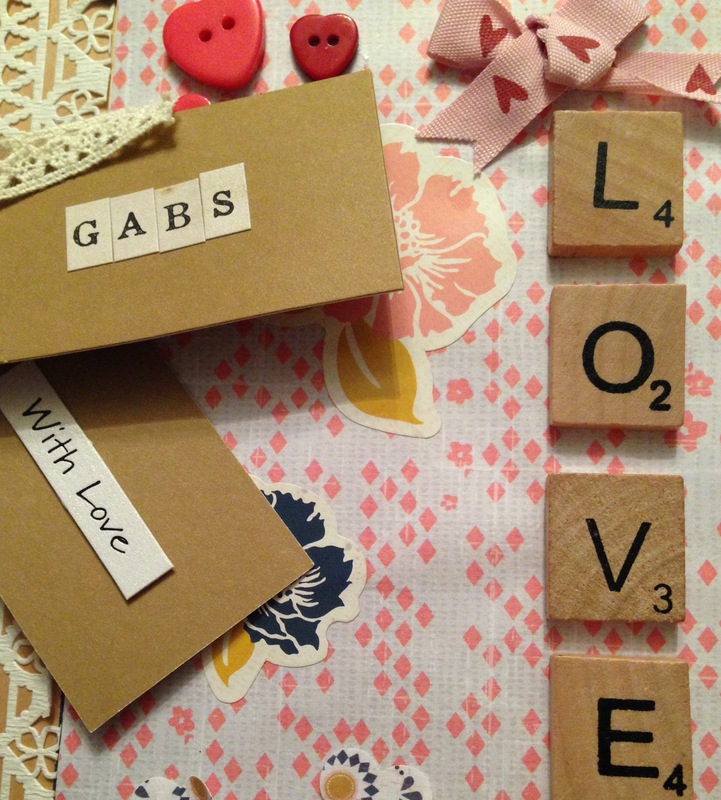 I got most of the scrapbooking materials from Hobbycraft Here are some pics of the results. For those in Dubai, blank scrapbooks can be bought from Paperchase and the ring binds from Daiso and Daiso also sells some craft items. I couldn’t go on my sister’s hen do as I was back in Dubai on bed rest but I still wanted to be part of the day. I therefore made these party bags for the hens. I loved the kraft style paper bags (you can see I like Kraft products a lot!) and enjoyed adding the lace and wicker hearts which were intended to be keepsakes. I then added some small jam jars which I filled with ‘useful’ hen do things. I saw this idea online years ago and thought it was such a clever and easy way of bundling old cards. I don’t keep all my cards but have kept our engagement and wedding cards, I couldn’t bare to throw them away. That said, they have been shoved in a box and I haven’t looked at them in 2-3 years. So as I have time to do this (it actually took all of ten minutes) I bundled them together. You just need some of the ring binders I mention above. 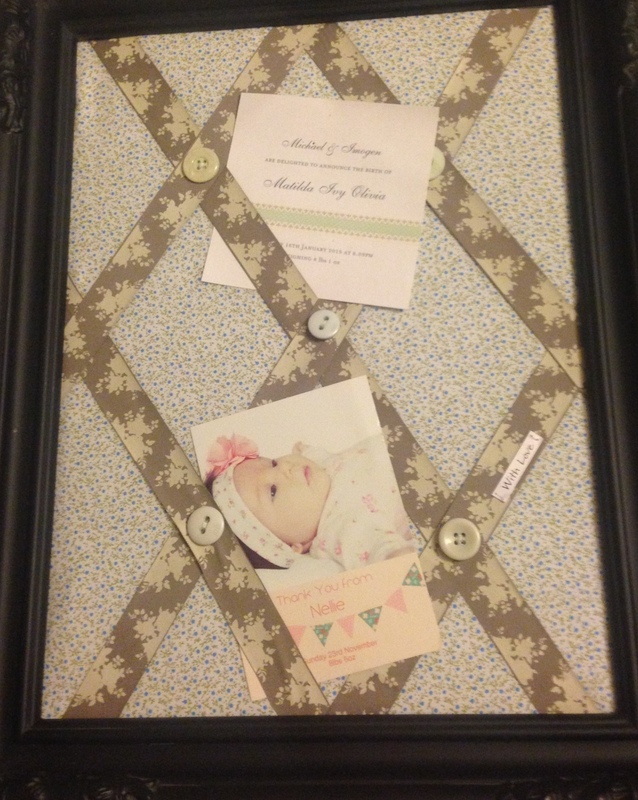 You could do it with an special cards, including newborn cards and 1st or other important birthdays. 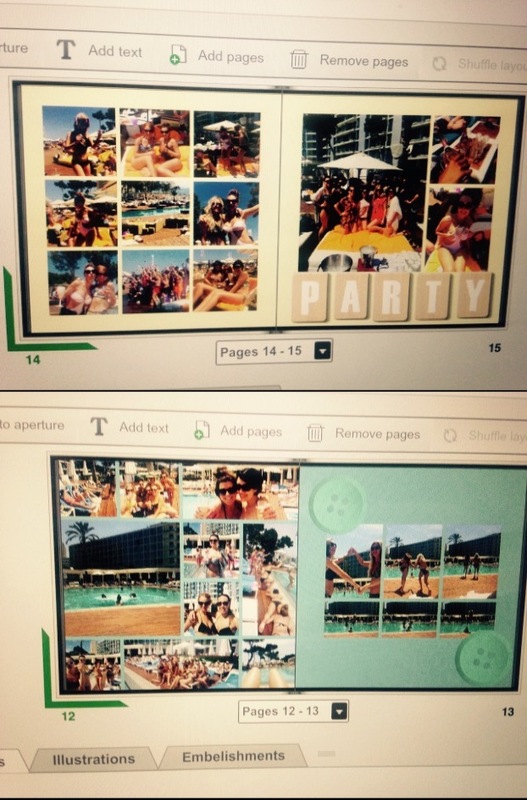 Although I couldn’t make my sister’s hen do, I put together an album online at Photobox. It was so much fun and although I expect I could have done it pretty quickly, it was a bit of a labour of love and so it took me most of the day and I kept going way into the night. I enjoyed adding all of the embellishments and really personalising each page with a different theme. I was so pleased with the finished result and so was my sister. I plan to put together some albums for our honeymoon photos as we have loads but never ended up printing them. It’ll be a good project to keep me busy whilst on bed rest. We had an old frame that I really liked but the glass broke in it a while back. I couldn’t bring myself to throw it away and so have been thinking of ways to up cycle it. I have seen lots of fabric notice boards, made with fabric and ribbon in the shops and they looked simple enough to make so I set about making one of my own! As I’m pretty restricted movement wise at the moment I had to figure out a way to make it with the materials I had at home. I had plenty of fat quarters and also plenty of ribbon. I chose the colours that worked best together and covered the back board of the frame with quilting padding and then the fat quarter (nicely ironed). Next, I used some duct tape to secure it all into place. I then laid the ribbon across the material so that it overlapped to form diamond shapes. I then sewed buttons where the ribbon overlapped. Once this was done, I secured it into place with the duct tape. You need to pull the ribbon as tightly as possible before securing it in place with the duct tape. Then just add the finished product into the frame. Very easy! I bought some paper ‘Made with Love’ tabs in the sale at Hobbycraft and the paper was thick enough to allow me to sew this onto a piece of the ribbon for a final touch. That is it, simple! You can then add cards, photos etc by securing them under the ribbon.